Back of the Cereal Box: My Superpowers! They're Useless! Back in the day, Superman had more pressing concerns that Lex Luthor attempting to take over the world. 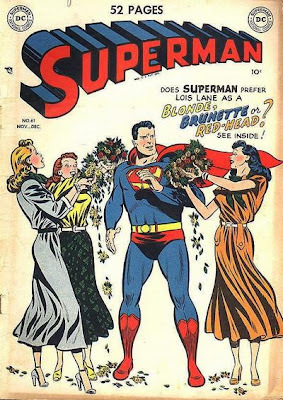 I, however, prefer Lois Lane when she looks like Kristen. Do you read Mental_Floss? They just did a thing about comic book characters,and Superman was included.